Transform your summer frames with these DIY projects. 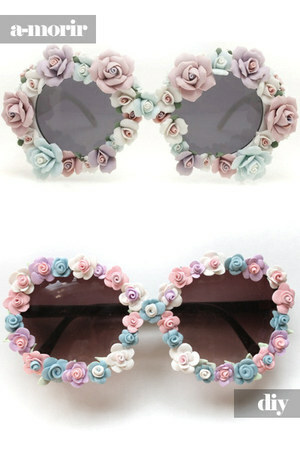 Who doesn't love a pair of $5 shades that look just like a high-end designer's $114 (or $390) version? Time to break out the glue gun. This simple tutorial encourages imperfect lines. 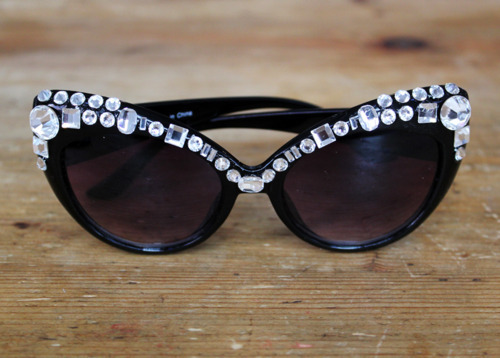 Three layers of mint nail polish + one coat of clear polish = a $5 version of these $114 Juicy Couture frames. A patriotic hand-drawn pair using Sharpie markers. Another use for nail polish. No glue gun required. More here. 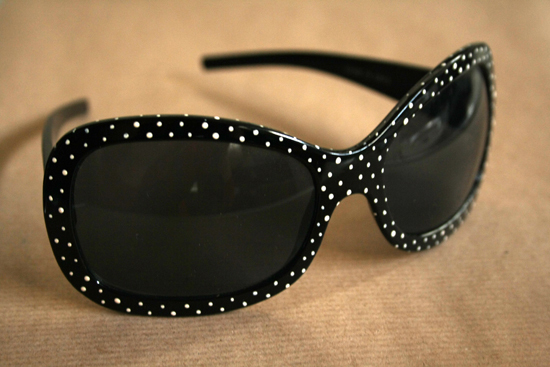 Use a toothpick to paint polka dots on to your frames — no special paint required. 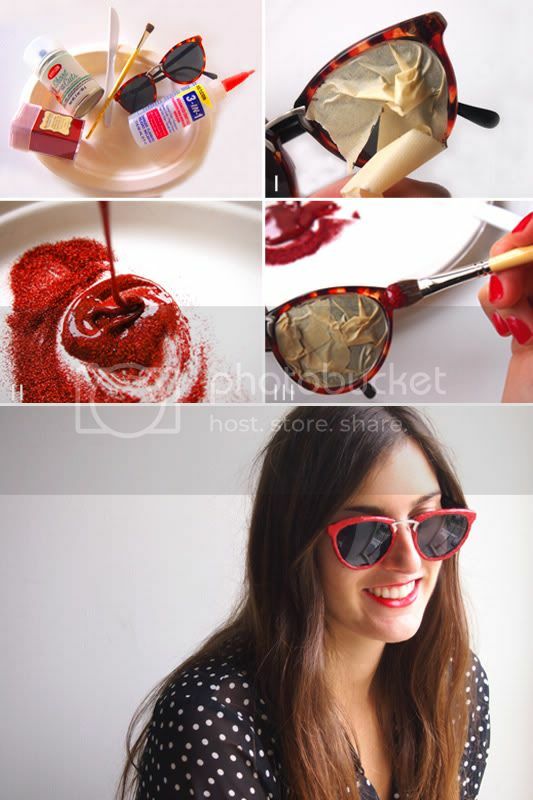 If you don't want to make any extreme changes to your sunglasses, start from the inside with this tutorial. 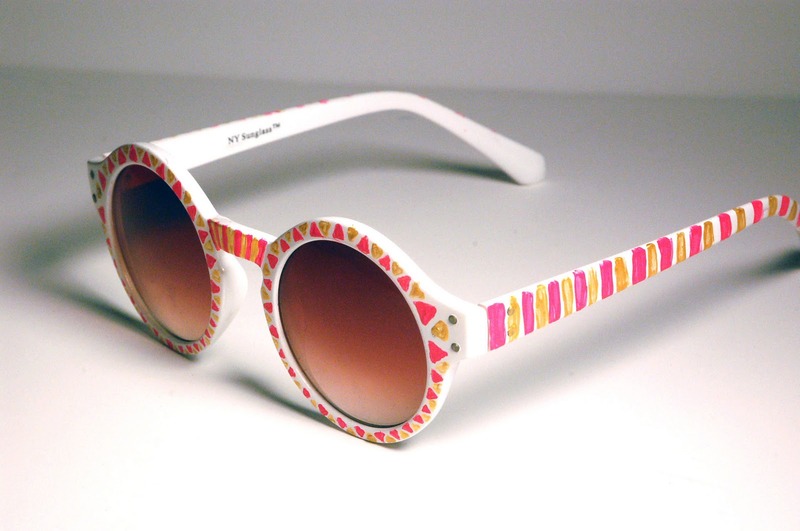 This version of the polka-dot frames uses nail polish and Q-Tips. Snip the backs of your flashiest pair of earrings and glue-gun them on to your frames. (Just beware of sharp edges.) More here. 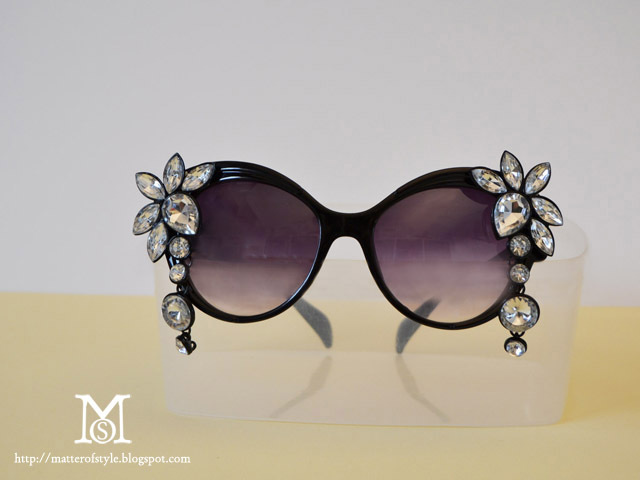 This project has been tearing up Pinterest boards since these floral sunnies were first seen at Dolce & Gabanna's Fall 2012 show. You'll need to pick up some ceramic roses or flowers from the craft store. This tutorial takes a little more time (and polymer clay and baking), but the end result is more customizable. Another nail polish project (inspired by J.Lo). Tutorial here. 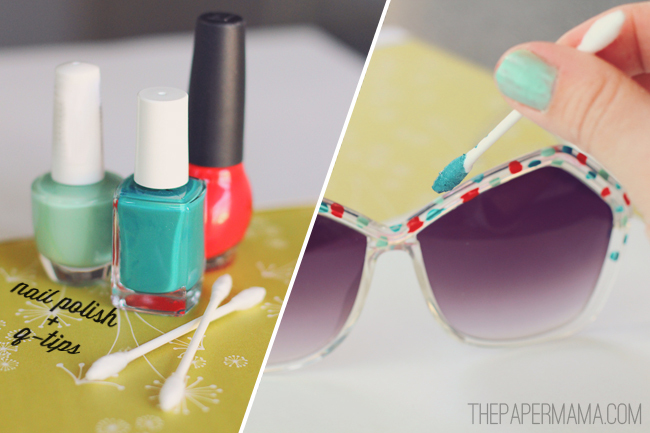 This resourceful tutorial uses scraps leftover from those Sally Hansen sticker nails. A project from P.S. I Made This, for when you just don't want to go out and buy a new pair. This tutorial goes glue-gun crazy on some sweet skull studs.